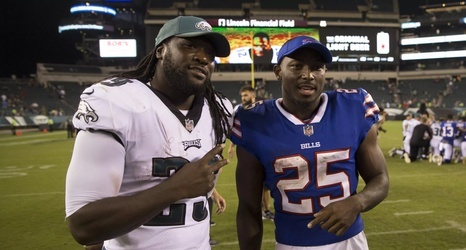 LeSean McCoy, Bills. Cap Saved: $6.43M; Cash Saved: $6.43M; Dead Money: $2.63M. McCoy fell off a cliff this season with career lows in almost every category possible. He basically had one game all season where he looked like the McCoy of old. Given that the Bills should be turning over their roster it’s probably best for both sides to move on. McCoy will likely get a look from a playoff type team for a few million in free agency.